Reykjavik is a youthful, compact, friendly city set in dramatic countryside and less than three hours' flying time from the UK. 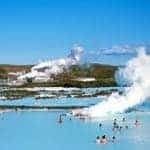 Wander around art galleries and museums, linger in stylish restaurants and cosy coffee bars then take a healing dip in the geothermal waters of the Blue Lagoon. If you have the energy, party the night away at the city’s legendary bars. 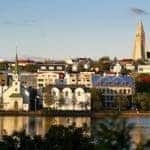 Visit the world’s northernmost capital on a Reykjavik city break and discover a vibrant and captivating city that can be enjoyed year-round. A compact capital with a population of just 120,000, everything from the city’s historic timber dwellings and giant Lutheran church to the bustling harbour and waterfront walking trails can all be explored on foot. Delve into Reykjavik’s café culture, lose yourself in the numerous art galleries and museums, shop for handmade local crafts in Scandi-chic emporiums and enjoy exceptional fish dishes at the city’s best restaurants – or, for those on a smaller budget, you can’t beat the hotdogs at Bæjarins Beztu! But it’s the incredible natural wonders on the capital’s doorstep which make Reykjavik more than your average city break destination. 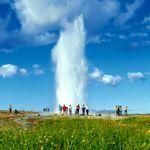 Discover powerful geysers and thundering waterfalls on a Golden Circle day tour, search for humpbacks on a whale watching boat safari from the downtown harbour and relax in the healing geothermal waters of the Blue Lagoon. In the winter months don’t miss one of the northern lights excursions and head out in search of the incredible aurora borealis in the dark northern skies. 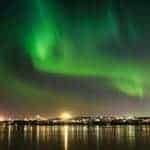 Visit our website to find out more about Reykjavik city breaks and other short breaks in Iceland.